New 2016-2017 Nike Mercurial Superfly V CR7 FG Black Volt Silver Metallic The type of player thats going to benefit most from these shoes is someone who really want to perform their best when on the fieldPerformance is all about speed, agility, and being able to be at your best throughout the gameThe right type of cleats can help you by not hindering youThats what you get with the new green Nike Mercurial Superfly. 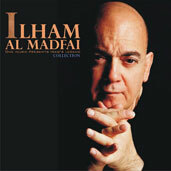 Ilham Al Madfai Released in 1999 by EMI music (Virgin Records), This album got the platinum album record prize (1999,2000) for being the best Arabic selling Album under Virgin Records label(EMI music), a classical album for each and every Lover of world wide music, the first song (khuttar) was and still a hit that u listen to everywhere in this world when we talk about Arabic music. Live at Hard Rock Café (Beirut) This album was released in 2000 which was a live performance held in Hard Rock café (Beirut), it was recorded live in Lebanon and released after that by Emi Music. Baghdad This is the latest album released by EMI Music (Virgin records). This album is heading to the platinum prize also, it was recorded in London, Jordan & Lebanon, it’s a world cross over music album, a combination of Arabic tunes with Modern Jazz and Latin, using different rhythms and instruments. Copyright 2004 Ilham Al Madfai All rights reserved worldwide.